Kano (Nigeria) (AFP) - The leader of Nigeria's Boko Haram militants, Abubakar Shekau, pledged allegiance to the Islamic State (IS) group in an audio recording released Saturday. "We announce our allegiance to the Caliph of the Muslims, Ibrahim ibn Awad ibn Ibrahim al-Husseini al-Qurashi," said the voice on the message, which was believed to be that of Shekau and was released through Boko Haram's Twitter account. Qurashi is better known as Abu Bakr al-Baghdadi, leader of the IS group which has proclaimed a caliphate in parts of Syria and Iraq. 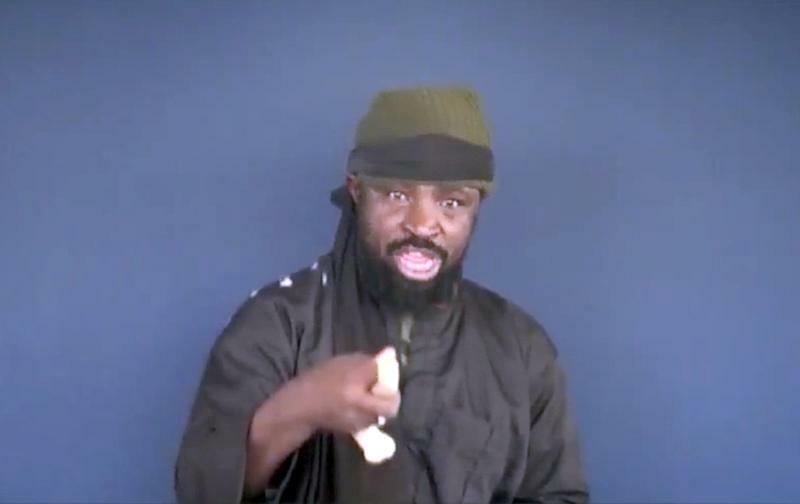 Shekau spoke in Arabic, but the message contained French and English subtitles. It was not immediately possible to verify the authenticity of the message. Shekau was not pictured, a contrast from most of Boko Haram's past messages in which the Islamist leader has been shown, often in close up shots. But Shekau did identify himself in the recording, which was accompanied by the subtitles and a graphic including an image of a radio microphone. There have in recent months been signs of closer ties between the Nigerian militants and the IS group, with both using similar ways of communicating with the outside world. Boko Haram has notably begun releasing videos that resemble those made by IS. Boko Haram has been waging a six-year uprising against the Nigerian state, which has claimed more than 13,000 lives. Analysts have long debated the extent of Boko Haram's ties to other jihadist groups, but the evidence was never clear.